Vermont artist and grassroots/outsider art scholar Gregg Blasdel has championed the work of Burlington artist Paul Humphrey (d. 1999) for years. Humphrey's art is now internationally exhibited and celebrated, and has been featured in Raw Vision magazine. 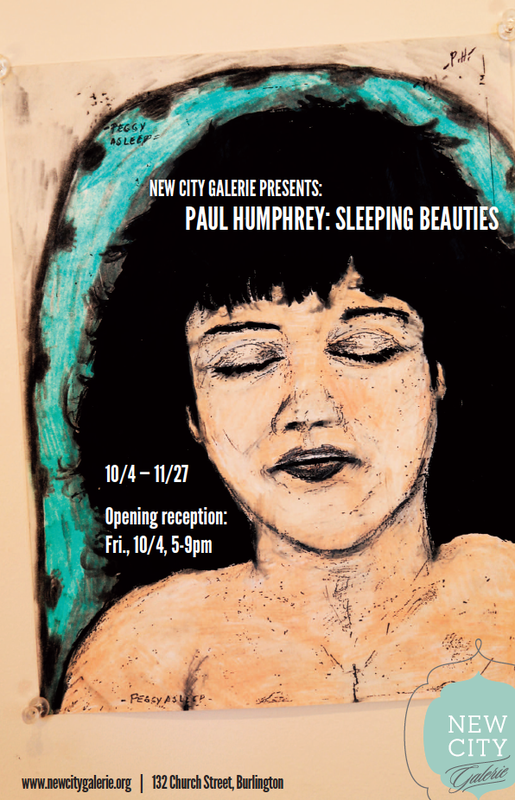 Humphrey's SLEEPING BEAUTIES was recently exhibited at the American Folk Art Museum in New York City from January through May, 2013. Opens Friday, October 4th, 5-9pm with a talk by Greg Blasdel.